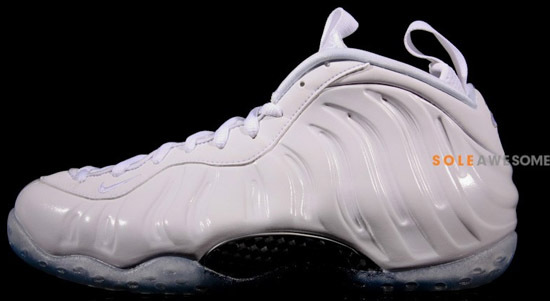 Once a 1-of-1 player exclusive colorway for Penny Hardaway, this all white Nike Air Foamposite One is now set to be released. 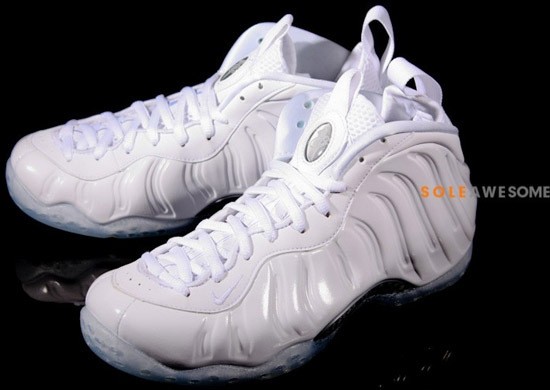 Known as the "Whiteout" edition, this Nike Air Foamposite One comes in a all white colorway with metallic silver accents. 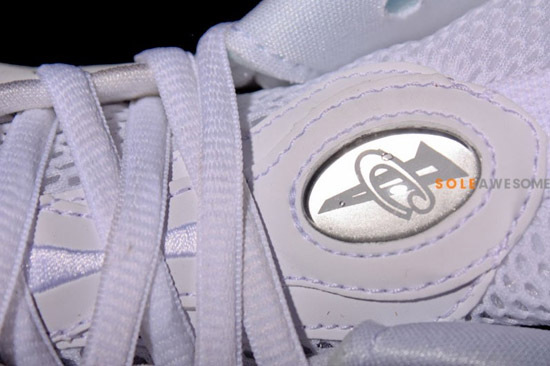 Featuring a white-based upper sitting on an icy clear translucent outsole. 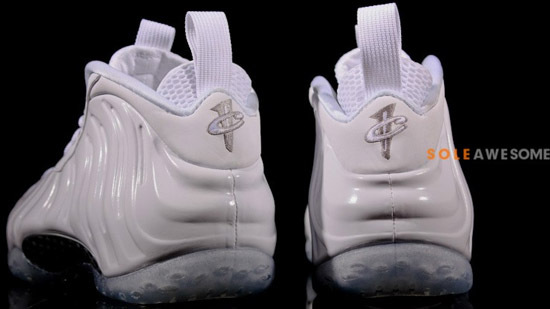 They were originally a 1-of-1 player exclusive made for Penny Hardaway but due to popular demand, they are now set to release to the public. A limited release, they will be available at select Nike accounts worldwide on Friday, March 29th, 2013. 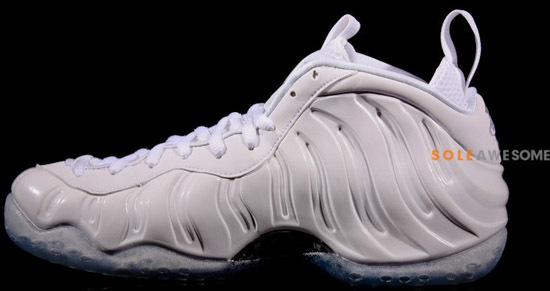 Retail is set at, $225. 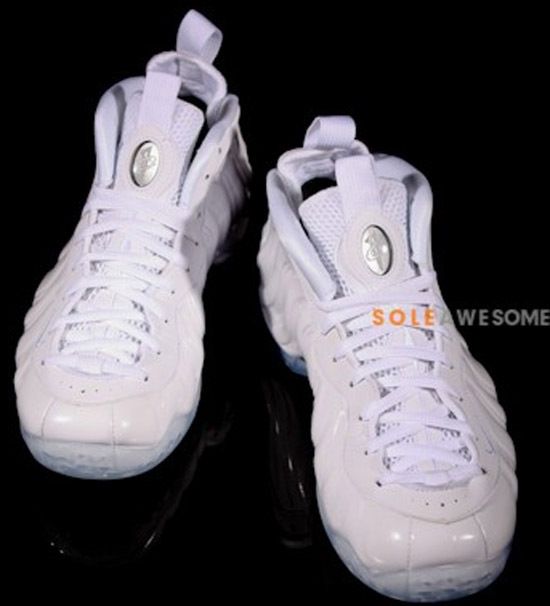 Enjoy the detailed images below of the "Whiteout" Nike Air Foamposite One in summit white. 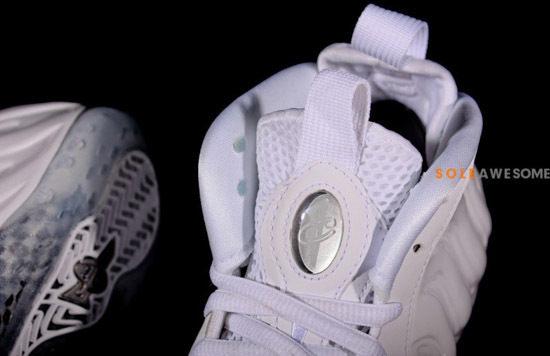 If you like these and plan to get a pair when they release, be sure to check in with your local spots to see if they will be receiving them. 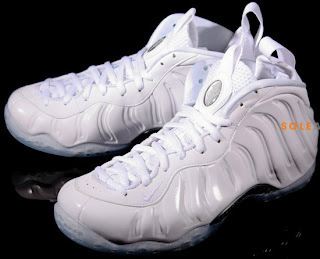 Those of you who cannot wait and want them now can click here to grab them on eBay.